Building a community starts with the creation of a home. 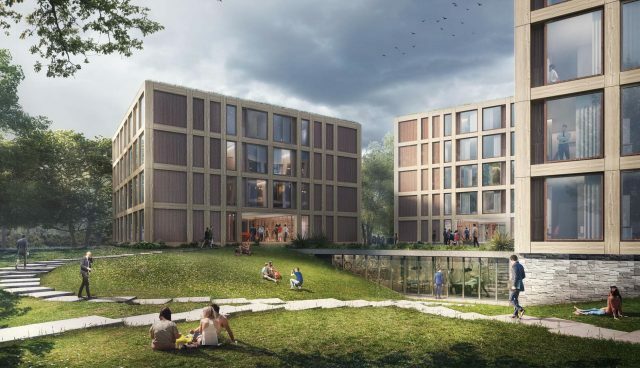 Our proposal for 390 new student rooms consists of six compact and freestanding lodges as castle outbuildings. 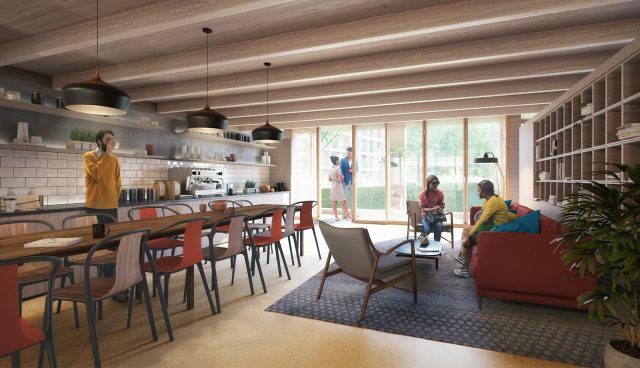 Integrated in the classic park, the small lodges introduce a human scale: the ideal starting point to get to know the Hotel Management School Maastricht. 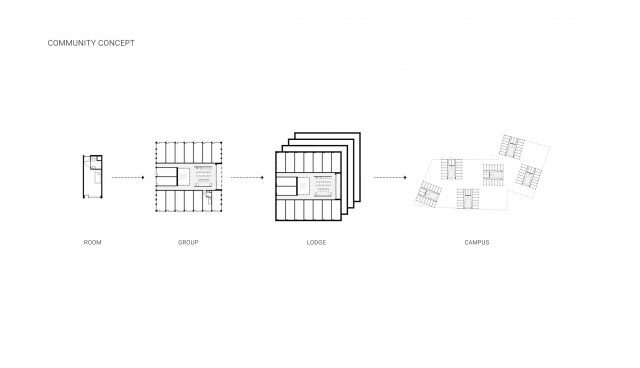 This concept introduces different layers of community that together form a lively campus life. 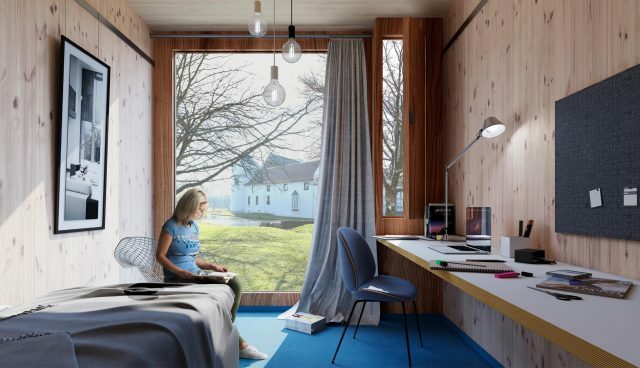 From an introverted room to a cosy group in a social lodge on an international campus. I, my friends and my year are in constant contact during the school year. 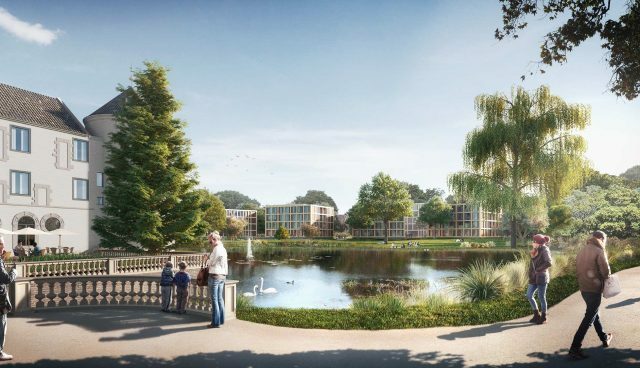 The six freestanding lodges can be found within the contours of the zoning plan, with respect to the park and the vistas. This concept also offers a flexible future use by either adding or repelling lodges. All the rooms have a broad view, making sure they have a good relationship with the park, where all the listed heritage trees are maintained. Every lodge has its own entrance across from each other creating a communal outdoor space. 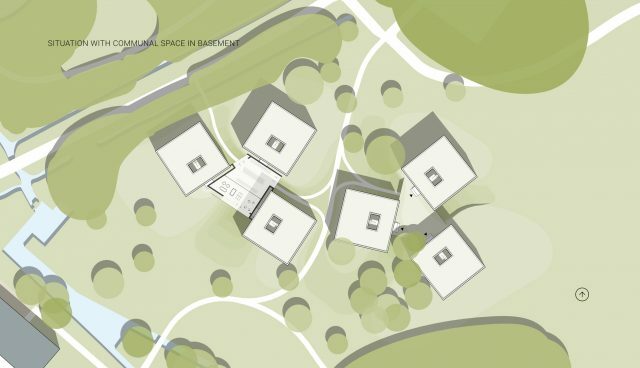 The shared facilities lie half in the ground, allowing for a continuous landscape in between the lodges. 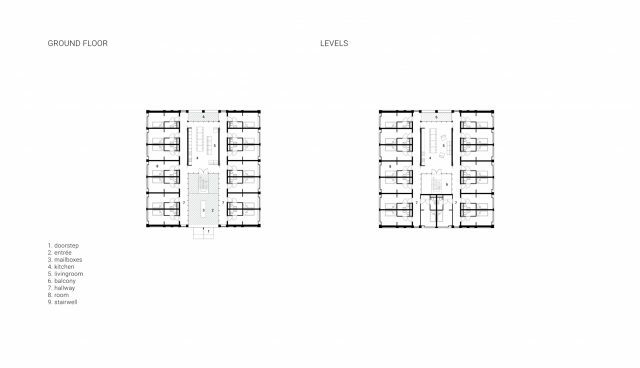 The central position within a clustered group, stimulates the use of the landscape by the community. The terrain is lifted 1,5 meters and the facilities lie 2 meters deep below the park, provided with an amazing view of the castle. The height differences are integrated in the terrain.